In Taken, the third book in the Alex Verus series by Benedict Jacka, mage apprentices have been vanishing without a trace. The council has no evidence, no witnesses, and no suspects. So naturally, they ask Alex Verus to work the case. Of course, it’s not surprising that nothing is simple when Alex Verus gets involved. I continue to love this series and it is so much fun to read. There are so many surprises throughout Taken that it will keep you on your toes until the end. My only complaint is that I am being to notice a pattern of how Jacka writes this series. Someone hires Verus, lots of people try to kill Verus, fight scene, dream sequence, and resolution where Verus gets none of the credit. It most definitely works, but I got like 4 more books to go in the series, I worry this will get old. 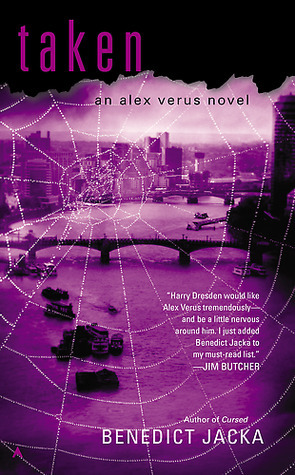 This entry was posted in Fantasy, Magic, Young Adult and tagged Alex Verus, Benedict Jacka, Taken. Bookmark the permalink.